How much memory does a typical computer need in 2019? When I look at machines that are sold at electronics shops1, I'm seeing machines that ship with between 4 and 8 GB of RAM. Looking at the Lenovo and Dell websites will show much of the same. Most of the notebooks that are handed out at the day job also fall into this category, with schools getting machines with 8GB, and managers getting units with 4GB2. When I moved out of the classroom in 2016 I was given a Lenovo W541 notebook with 8GB of RAM, which I promptly upgraded to 32 because it was the right thing to do. That machine has since been converted to a development server and I'm now using an X1 Carbon with 8GB. As I've lamented, perhaps too often, the sleek little notebook is great except for one little detail: 8GB is simply not enough. As one would expect, I've brought this up with a couple of my managers who have all pretty much said the same thing: there isn't money in the budget right now for a new machine, so try to make due with what's at hand. I am certainly accustomed to working with what's on hand, though it generally means that I try to find creative solutions to my problems. The "fix" that I currently have is to offload work to other machines. I can send large workloads to the development server upstairs to chug through or, if I need even more power, a potent virtual machine with lots of memory and processing horsepower has been configured for me to use at the corporate data centre. This means potentially transferring up to 50 gigabytes of compressed data3 to get work done. It's suboptimal, but it's better than struggling with a machine that is simply not up to the task. Today was pretty rough, though. More than once I noticed the machine struggling to keep up with the workload. If I were doing data transformations today then I could understand why the physical memory was exhausted and the swap file was being thrashed. However, today's tasks were all about working with web development tools. No database work. No API development or testing. Just design and development. Why couldn't the machine keep up? The company had a RAM emergency. The office had too much RAM. Sometimes I'm tempted to bring up the issues that I face when using this notebook to carry out my duties. I didn't have these problems when I was permitted to use my own hardware, a MacBook Pro with 16GB RAM and a much slower SSD running the very same version of Ubuntu as the Lenovo. The previous system I had requested was denied as it came out to 338,700円, which is just over $3,000 USD. If I'm a little more conservative and choose a similar machine to what I have now, an X1 Carbon with 16GB RAM, less NVMe storage, and a higher resolution screen for 182,488円, which works out to just under $1,650 USD. The 2019-model X1 Carbons will be shipping in June, so the current version is priced to clear. For the longest time I have tried to cost the company less money than anyone in IT. This doesn't seem to be the case anymore. I work an excessive number of hours overtime and the hardware that I've managed to acquire over the last three years is not cheap. All of this is in the service of the day job, of course, but there is still a cost involved. The management has already said "no" to the request, so coming back at them for the third time in less than four months could appear to be selfish or persistent in the worst way. While it's true that I could just "secretly" go back to using my own personal hardware to get the job done, I would be much more comfortable having sensitive, work-related data on a work-owned machine. This way, if I am terminated or decide to leave the company at some point in the future, then I'll know that there's no company data on any of my machines. Wiping a drive and re-installing an operating system isn't enough when it comes to keeping a device clear of data, as there are backups that could also contain data that does not belong to me. I treat this subject seriously as it's my responsibility to protect and maintain data not just for the day job, but for a number of people I offer services to. For this reason my machines will continue to be used for non-day job tasks. In the meantime, it will probably make the most sense to continue doing what I'm doing, working with the tools I have and finding ways to make it all work. When it comes time to discuss this year's performance with the management team, it may be possible to bring up the topic again. Besides, I can always use the occasional system sluggishness as an excuse to get up and walk around; something I don't do nearly enough of anymore. Never buy a computer from an electronics shop unless it's an absolute emergency. You'll pay through the nose for something that's worth less than half of the amount you forked over. Buy online if at all possible. I don't understand the logic, either. Outlook alone will consume all of this just to start up, nevermind what the browser(s) and operating system want. I work with a lot of databases. Right now I've been tasked to perform a number of data migrations for corporate offices around the world. John Gordon recently wrote a short blog post explaining that he can no longer recommend people make the switch from Windows to macOS when shopping around for a new computer. The reasons he cites are quite valid, from Apple's recent abandoning sprees on software, hardware, and business sense, to the high cost of entry for machines that have arguably mid-range specs. While I can agree that the average person may not be willing to invest a grand or two in hardware before investing even more money in applications that may or may not work as the operating system evolves year over year, it's important to ask one question: what's the alternative? After months of investigation, I settled on picking up a 2015-era MacBook Pro and replacing OS X — as it was known at the time — with Ubuntu. I've been happy with this decision for the most part and have even gone so far as to contribute updates to drivers that allow people to get better performance out of their Bluetooth radio. I chose the MacBook Pro not because I wanted a quick way to jump back to the safe confines of Apple's ecosystem, but because the alternatives were just not worth the money. When it comes to buying a computer, a person really needs to consider how they'll be using the machine. Will it be something you're looking at for more than an hour or two a day? Then it simply cannot have a low-resolution screen. Will it be something you'll type on a lot? Then the keyboard needs to match your hands just right. Will it be something you'll carry from place to place? Then it had better have a really good battery, or be light enough that carrying the ridiculously bulky charging adapter is slightly more bearable. Then there's the problem of the hideously awful touchpads that seem to exist on every notebook not designed in Cupertino and manufactured in China. I spent months looking for a good-quality notebook that met these 4 criteria and a few other details and always came away disappointed. You can have a good keyboard or a good screen, not both. You can have decent expandability or good battery life, not both. You can have a fast processor or a thin formfactor, not both. Buying just about any product will require a person to prioritise certain features, but one expects the decision to be less painful the higher up you go in the product line. The HP Spectre 13 x360 came very close to what I was looking for in terms of hardware, but was limited by 8GB of RAM and a keyboard that just didn't feel very good. Lenovo's T450s was also close, as it allowed for hardware swapping along with a mostly-acceptable battery life and decently-comfortable keyboard, but was limited by the screen's awful pixellation and colour fade. As a person who looks at a glowing screen for 10+ hours a day and interacts with the keyboard almost exclusively1, any machine that cannot offer both solid typing and crisp text2 simply cannot become a tool I rely on. Dell does have some decent machines, yes. The screen's aren't all that great, and the keyboards feel cheap, but they'll do. The same can be said for HP, Lenovo, Mouse, and System76. Nothing from any Japanese manufacturer is even worth mentioning anymore, as it's all lowest-quality-highest-price plastic crap. Even Sony, once the pinnacle of amazing-screens everywhere, is barely worth a cursory glance at an electronics shop. Try as I might, there just hasn't been a compelling notebook from any manufacturer in the last five years — if not longer — that comes anywhere near what a MacBook Pro can offer in terms of screen quality, keyboard usability, battery longevity, and overall build quality. Yes, a person needs to resign themselves to the fact that the unit is ultimately a non-upgradeable appliance, but it's still the best-made appliance out there. And, if you're willing to go with a store model to save a few hundred dollars, you'll wind up paying the same as you would for a top-of-the-line HP or Dell that comes with an infuriating touchpad that you leave disabled 90% of the time. When people ask me for advice on what computer they should buy next, I still ask the basic questions. What's the main purpose? How long will it be used for every day3? Who will be the main person using it? And then I make a recommendation. Sometimes it's for a tablet. Sometimes it's for a notebook. And in those instances where somebody is looking for a decent quality notebook, I'll recommend either a MacBook Air or a MacBook Pro … which then has its operating system replaced with whatever the buyer is most comfortable with soon after getting it home. Ideal? Maybe not. But it's better than the alternatives. I have not used a mouse in over five years, and I have no plans on ever going back to those horrible things. Crisp Japanese text. Roman characters are tolerable with awful pixellation some of the time, but it's brutal when trying to read complex kanji consisting of 12 or more strokes. Is child labor really so bad when we can buy fancy electronics and running shoes at such incredible prices? Is it really so bad if a man is paid less than minimum wage and works excessive hours under sub-human working conditions when people living in wealthier nations are awarded for their race to technological advancement with a seemingly never-ending supply of hardware? Before answering "no" and finding the thought of someone as young as 11 working in a dirty factory to build our computers or stitch our t-shirts together, remember what we might have to give up to ensure our ideals are carried out in the poorer manufacturing nations. This was the discussion that Kenji and I entered into earlier this week after discussing the recent discovery by Apple that some of their overseas equipment manufacturers have failed to meet all the criteria that Apple, as a "responsible organization", has laid out as part of their contract. The kids that worked for Apple's suppliers weren't as young as 11, but that's beside the point. Oddly enough, this is a topic that both Kenji and I agree on so I won't go into too many details. However, what was interesting was how we both viewed the situation on a grand scale. It comes down to a very simple question consisting of only two simple words: who cares? Oh, sure, most people would be appalled at the thought of a child working in a factory because their family was too poor to afford food. But would it stop us from buying a highly sought-after product? $20 says most people would quickly say "no" or, at the very least, hesitate before answering. It's not that we don't care … it's simply due to the fact that we're fortunate enough that these things happen to nameless, faceless people thousands of kilometers away who we'll never see, hear, or know. This is like worrying about the fate of a baby rabbit after being handled by humans and its mother rejects it. Yeah, it's sad, but it won't stop some of us from wanting to cuddle baby rabbits. What's interesting here isn't the fact that Apple made this information freely available before the problems had been resolved, but the fact that the factories in question are also responsible for manufacturing products for several of the largest, most influential technology companies on the planet. HP, Dell, and Lenovo are just three of the many companies who, in addition to Apple, call on the services of companies who are willing to manufacture many of our fancy electronics for a fraction of the price we'd pay if something were "proudly made in the USA" or some other nation. What this tells us is that most people in western nations will have a high probability that at least one product we own was manufactured by someone who has been poisoned, treated poorly, paid unfairly, or otherwise subject to conditions we would find unacceptable in our civilized nations. Should Buying Local Be An Option? Kenji and I quickly switched gears from this subject to what might happen if a company like HP were to manufacture and assemble most of their equipment in North America rather than East Asia. Sony is notorious for their high prices and unacceptable levels of quality, but that's what happens when you manufacture and assemble products in a nation with a high standard of living and first-rate infrastructure. If HP were to produce as much as they could within the United States, would we see a similar sky-high price tag and sub-optimal operational life? In all realities, HP would probably pull an IBM and switch over to providing mainly services rather than products. 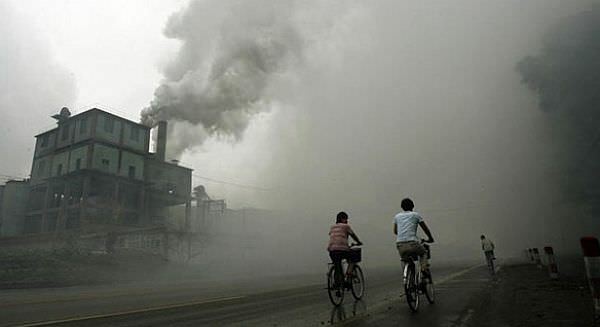 The amount of pollution that is created during the manufacture of our electronics is nothing short of staggering. One of the reasons the air in North America is so clean is because much of the heavy polluting industries have been farmed out to poorer nations that will sell their children future for pennies if it means the parents could live like kings today. We've seen the same pattern happen everywhere the noble cause of globalization has gone, and it's yet to reach all corners of the world. Sure, there are still a lot of heavy industrial corporations spewing toxic chemicals into the atmosphere in Canada and the US, but it's nothing compared to what these two nations have strong-armed developing nations into doing. However, setting such issues as pollution aside, considering how detailed and customized technology companies can make our products now, would it not make sense to provide us the option of having our product manufactured and assembled in our home nations? It would cost a lot more. The processors would undoubtedly still come from Malaysia. But it would give the buyer the ability to proudly say that they're supporting their own nation's economy and providing jobs to their countrymen. At the end of the day, isn't that what people really want to see? Respectable jobs in their own country rather than in someone else's backyard? Neither Kenji nor I thought this would be very likely in North America or even Europe. Wealthy nations have stood on the backs of the poor since before written history began. While the people might show outrage at the thought of a nameless, faceless human being subjected to inhuman treatment, it will not get in the way of our lusting over shiny new objects that would fill our acquaintances with envy. It is, after all, human nature. Kenji and I both abhor child labor and having people work under sub-human circumstances for the sake of a dollar. The comments that we made about "who cares" were based on our observation that most people can't be bothered to go out and vote in their own country, so wouldn't be too concerned about the poor conditions people in wealthy nations have unknowingly subjected to those in less fortunate circumstances. It's all out of sight, out of mind.